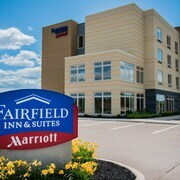 Situated in Moncton, this hotel is 0.1 mi (0.2 km) from Mapleton Park and 2.4 mi (3.9 km) from Moncton Coliseum. TreeGo Moncton is 3 mi (4.8 km) away. Love the place it was very clean I will definitely go back again. 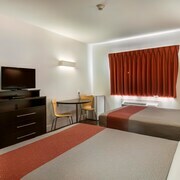 Check-in was a little late, the room was clean however it's very noisy inside and outside of the building. Where to find Memramcook hotels near an airport? Where can I find hotels in Memramcook that are near tourist attractions? While there are currently no Expedia-listed hotels near to Memramcook, Expedia does offer a minumum of 5 accommodation options that are just 0.1 kilometres (0.06 miles) from Memramcook. The nearest of our hotels is the St. James Gate, New Brunswick, which is 18 kilometres (11 miles) from the middle of Memramcook. Also, you could check out the Residence Inn by Marriott Moncton, located in New Brunswick, which is 18 kilometres (11 miles) away. 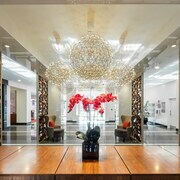 Check out the Delta Hotels by Marriott Beausejour and also the Hampton Inn & Suites by Hilton Moncton. The Delta Hotels by Marriott Beausejour is located 18 kilometres (11 miles) from the main part of Memramcook. 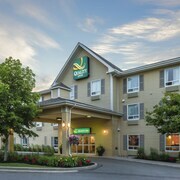 The Hampton Inn & Suites by Hilton Moncton, is 25 kilometres (15 miles) away. Two more alternatives in this area are the Holiday Inn Express Hotel & Suites Airport Dieppe and the Chateau Moncton & Suites, an Ascend Hotel Collection Member. 25 kilometres (16 miles) to the north of Memramcook you will find Shediac, where you can find Parlee Beach Provincial Park and South Cove Camping and Golf. Some of our recommended Shediac accommodation options are the Seely's Motel and L'Auberge Gabrièle Inn. 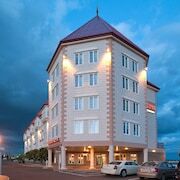 17 kilometres (10 miles) to the northwest of Memramcook, is Dieppe, which is home to the Crowne Plaza Moncton-Downtown and Fairfield Inn & Suites Moncton. The Champlain Place Mall and Fox Creek Golf Club are some of the most popular attractions to see when you're in Dieppe. If you like sports and love watching local games you could make a trip to Moncton Coliseum, which is 20 kilometres (14 miles) to the northwest of Memramcook. 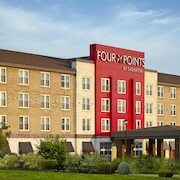 Sleep nearby to the action at the Four Points by Sheraton Moncton or the Econo Lodge Moncton. For travelers planning on arriving or departing through Greater Moncton International Airport, you may like to book some accommodation at Quality Inn Airport, or Wild Rose Inn, both of which are nearby. What are the most popular Memramcook hotels? Are there hotels in other cities near Memramcook? 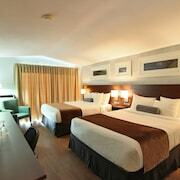 What other types of accommodations are available in Memramcook? Explore Memramcook with Expedia.ca’s Travel Guides to find the best flights, cars, holiday packages and more!